Cast: Ito Atsushi, Shinkawa Yua and Kishitani Goro. Orimo Keita (Ito Atsushi) is salaryman working at the fashion company Exaltant. He is dull guy, divorced, with child, and has hopes of reuniting with his ex, but is let down when he finds out his ex has a fiancé. To make matters worse he becomes a target of restructuring, and he is asked to voluntarily retire. One evening while sitting in the park, he is suddenly struck by a shooting star, only to wake up, and be able to peak into other people's phones: he has become a smartphone on his own. At first, he hates the idea: he finds out his coworkers dislike him, and that his closes friend tries to get him fired. But soon enough a girl appears in front of him, Ishino Ryuko (Shinkawa Yua), telling him to use his powers for good. Ryuko wants Keita to help her take revenge of their boss Kurube Jin (Kishitani Goro), who had made her business go down, by stealing her ideas. As Japanese dramas go, this one is right up their ally. It’s absurd, funny, silly, teaches you about morals and explains values, all at the same time. If you aren’t used to those dramas, you’ve been watching the wrong type, because that is why I love Japanese dramas. It’s not serious, and does not have a heart wrenching romance or plot, but still manages to make you like all characters. It might not be the most well-written screenplay, or even make sense most of the time, but I believe that is the charm. I am a fan of Ito Atsushi, but I can’t explain why. I seriously check him out to see if he has new dramas, because I want to see him acting - I think it’s his acting I enjoy most. The female lead I don’t remember, but she does look familiar, so I might have seen her before. 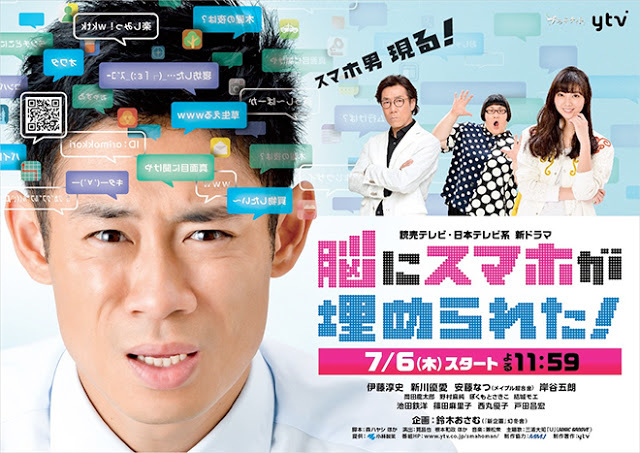 All that aside, it is not a drama most ‘drama-lovers’ would enjoy (except people like me, or Japanese drama lovers), but I think it’s an okay drama. Unfortunately, not one I would recommend. So, all in all: an okay drama, which I enjoyed watching.